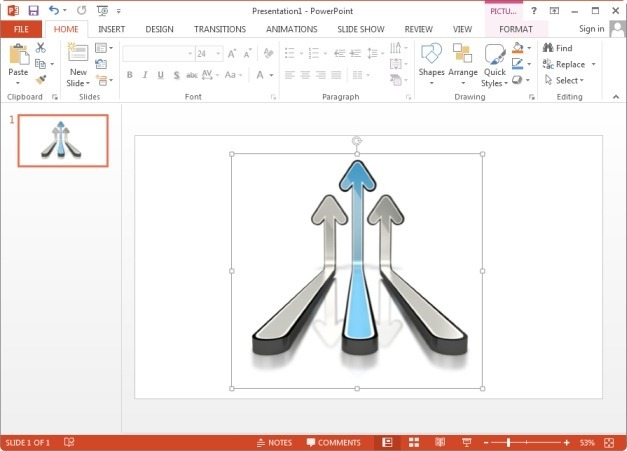 This animated template for PowerPoint starts with an opening slide showing arrows moving forward, with the leading arrow distinctly colored in blue among white arrows. 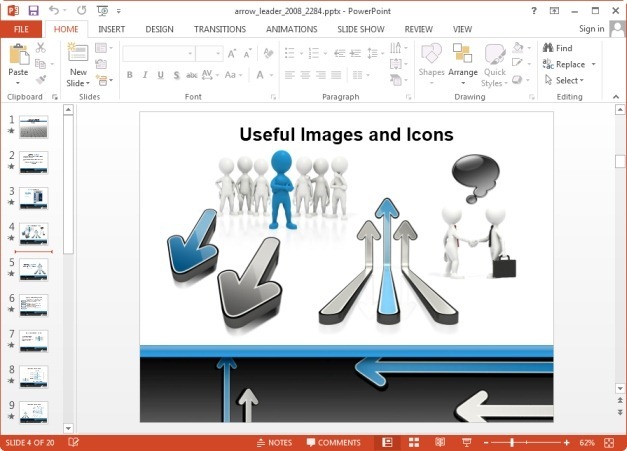 This animated slide has placeholders for adding your own title, subtitle and image. You can also add additional content outside default placeholders. 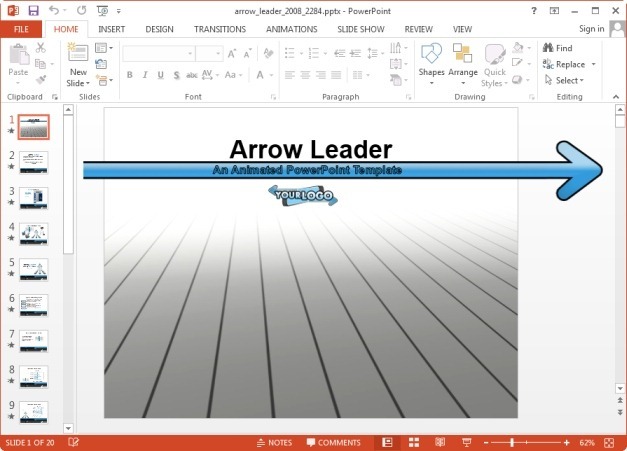 This PowerPoint Template is laden with various arrow themed animations and interesting layouts that you can easily customize to create professional looking slides. 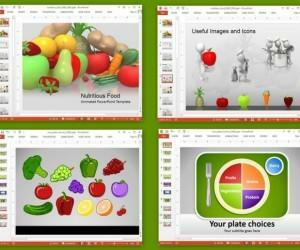 The layouts come with charts, tables, clipart images and SmartArt Graphics. 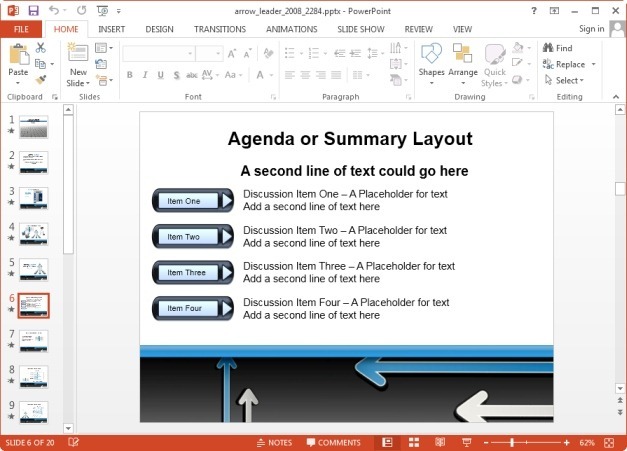 The layouts are a mixture of static and animated slides, where each type of slide is marked with instructions for the convenience of the end user. 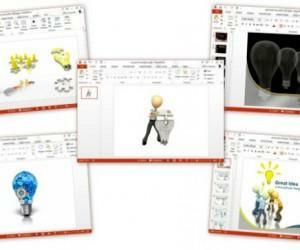 You can conveniently copy-paste clipart images across and drag to resize them to adjust them according to need. 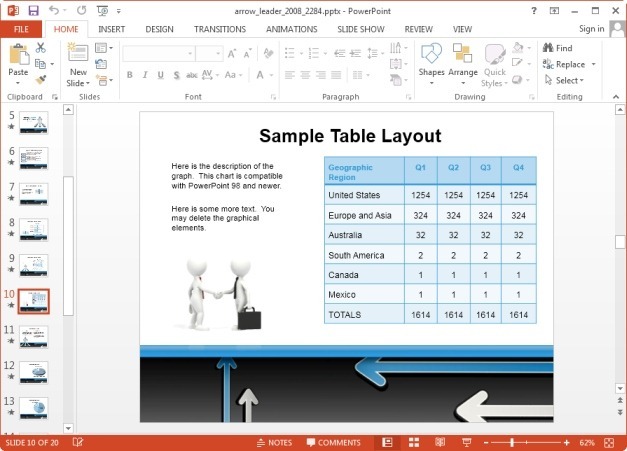 The charts and tables make it easy to present relevant data using interesting layouts and associated imagery that can help complement your presentation topic. 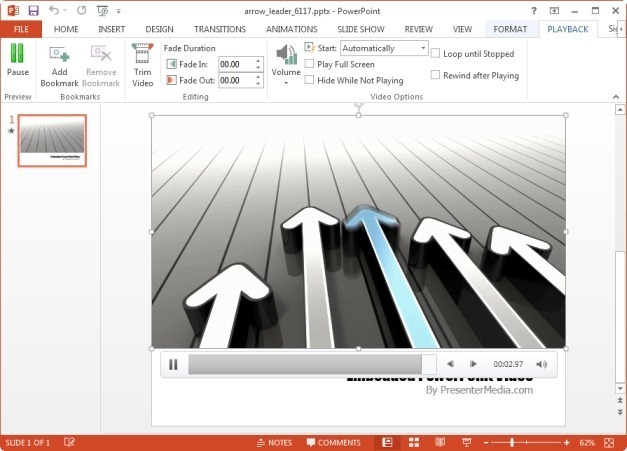 If you would like to single out the arrow animation at the start of the above template, you can download it as a standalone animation in GIF, WMV, Flash or MOV format. 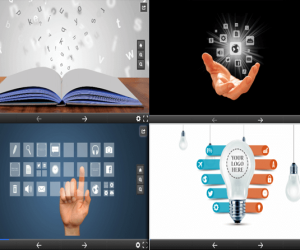 This animation can be used for making presentations about leadership, success, motivation, career coaching and the like. 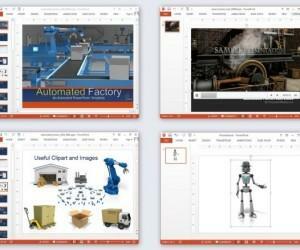 Other than presentations you can also use this video animation in other projects, such as for a blog post or website. 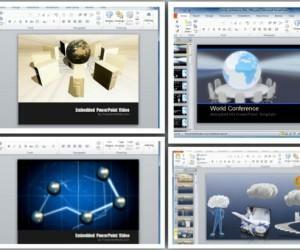 The video files can be easily, manipulated using a video editing software. 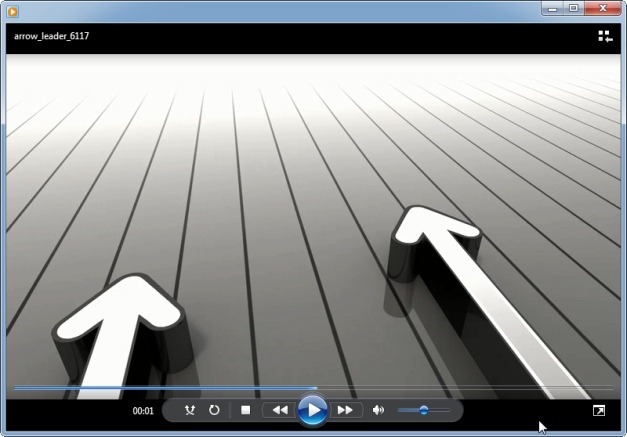 Last, but not least, you can also use this static clipart that depicts a distinct blue arrow leading other arrows. 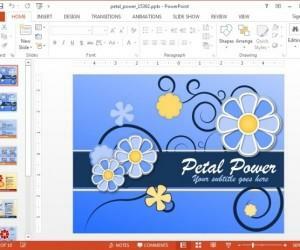 You can download this clipart as a PNG or JPG image file and use it with custom textboxes and/or images to match your topic’s requirements.